We might have robots and virtual reality, but another sci-fi standby has eluded technological progress: faster-than-light travel. 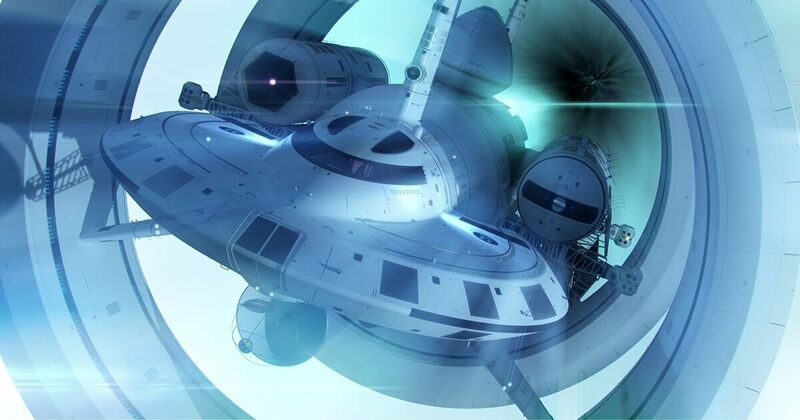 According to Miguel Alcubierre, the director of the National Autonomous University of Mexico’s Nuclear Sciences Institute, a warp bubble would compress space in front of a craft whileexpanding space behind it. In effect, he told the Times, the bubblewould sidestep the law of general relativity, which stipulates that nothing can move faster than the speed of light. This isn’t a new idea — we’ve covered it before — but physicists have repeatedly revised the estimated amount of energy required. At first, they thought it would require more energy than the entire universe contains. Then they decreased that to the mass of Jupiter, converted to energy. Now, some suspect it would take the energy contained in just a ton or two of mass. Physicists still urge caution about the idea of a warp bubble. Alcubierre, one of the greatest advocates of the idea, told the Timesthat even if the bubble were possible, scientists are unlikely to realize it within our lifetimes.